Whatever article guiding you through Madrid’s Malasaña you manage to find, all of them seem to be using and reusing the word “hip”. 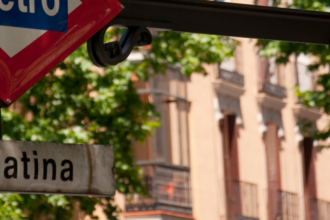 Well, as much as we tried, we are not going to be different, as that’s exactly what Malasaña is – hip, trendy, and alternative neighbourhood in the Spanish capital! Northeast from the center of Madrid lies the Salamanca district. As each of the districts is unique in its´own way, this district is considered to be the capital´s luxurious, fancy and exclusive area, offering the best of the best in everything, whether it’s boutiques, restaurants, museums or historical buildings.